File photo of the approach to the green on the 542 yards par 5, 16th hole 'Well' on the Old Course at Royal Troon, the venue for the 2016 Open Championship in Troon, Scotland. Royal Troon voted overwhelmingly to admit female members for the first time in the club's 138-year history. The vote, at a special meeting Friday, came less than two weeks before the British Open is held at the Ayrshire links for the ninth time, eliminating what was likely to be a distraction as more of Britain's top links courses accept women. "We have said a number of times recently that it is important for golf clubs to reflect the society in which we exist and the modern world that looks to us," said Martin Cheyne, the captain at Royal Troon. "It is the right decision for the club today and for generations of golfers that will follow." The vote leaves Muirfield as the only links on the British Open rotation that has a male-only policy. The R&A said after Muirfield failed to get the two-thirds majority to change that it will not host another Open under its current policy. The Honourable Company of Edinburgh Golfers, which owns and operates Muirfield, has called a special meeting to ask members for new vote by the end of the year. The R&A said it welcomed the decision by Royal Troon and recognized "the significance for the club." "Our focus today is very much on The 145th Open in just under two weeks' time, but we can now look forward to many more great championships at Royal Troon in years to come," the R&A said in a statement. Royal Troon is the second all-male club on the British Open rotation to open its membership to women. Royal St. George's in England voted for women members last year, and that followed a vote by the Royal & Ancient Golf Club in September 2014 to have female members for the first time. The Royal & Ancient, with headquarters at St. Andrews, governs golf everywhere in the world except for the United States and Mexico. Members belong to a club, not a golf course. 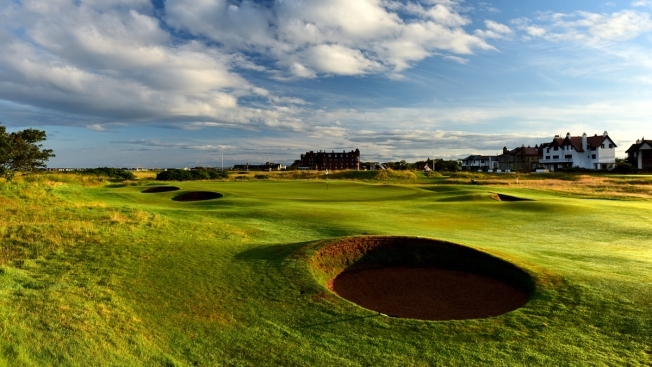 The Old Course and six other courses at St. Andrews are open to the public. Augusta National Golf Club, the home of the Masters, was the first to admit female members in 2012. Cheyne said the vote allows Royal Troon to turn its attention to hosting the Open along with The Ladies Golf Club at Troon, which was founded in 1882. "We can now all be focused on golf and showcasing this wonderful club and golf course to the huge global audience that this most prestigious championship commands," Cheyne said in a statement announcing the vote. Muirfield last hosted the Open in 2013, when Phil Mickelson won the claret jug. In May, only 64 percent voted in favor of admitting women, falling 14 votes short.